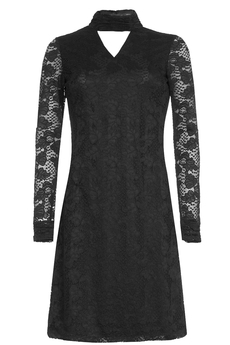 Stretch Lace Bodycon dress is an ultra feminine LBD perfect for special occasions. 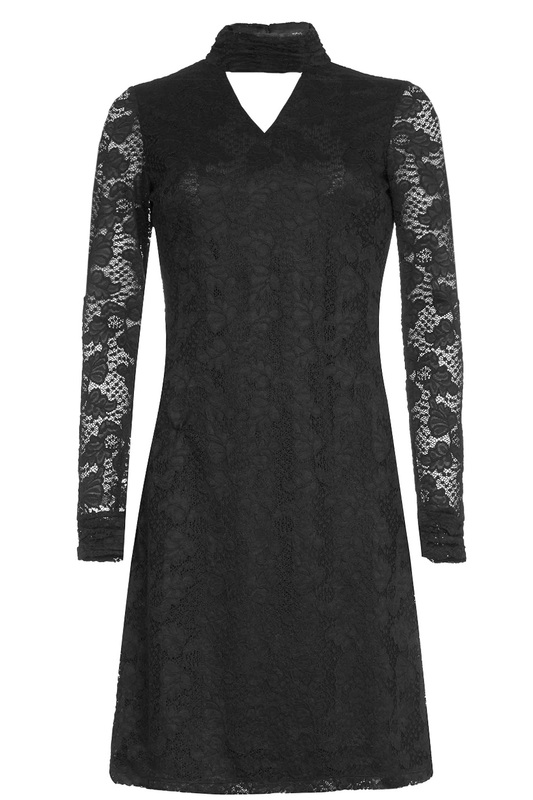 Features a delicate stretch floral lace overlay, long sleeves and keyhole opening detail at the choker-styled neckline with cute button fastenings at the back. 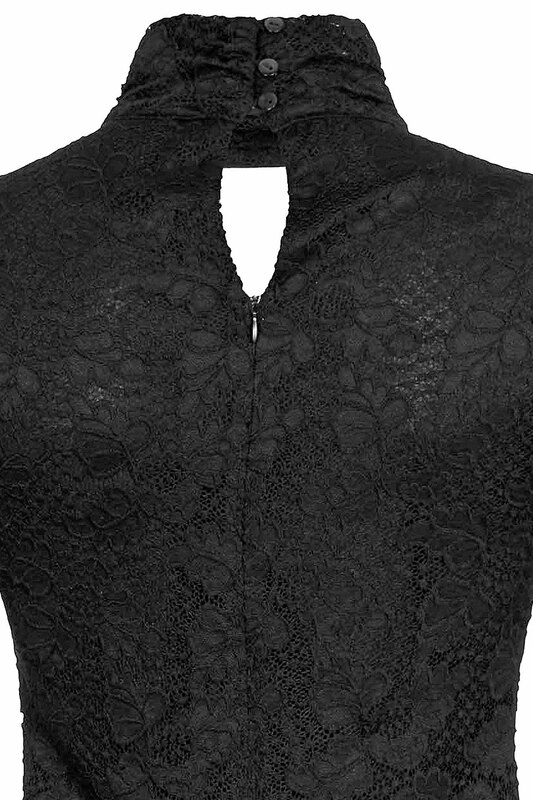 Has concealed back zip fastening, it is fully lined with elasticated lining and is approx. 100cm in length. Winter collection. Composition: 70% Cotton, 30% Polyamide. Lining: 95% Polyester, 5% Elastane. Color: Black.